I went through a big geometric cross stitch kit a few years back. 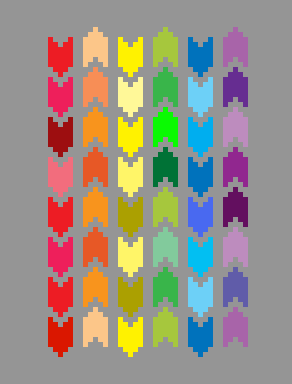 Most of them I would do without a pattern and I loved how little I had to think about it, it was so repetitive. I have a box with dozens of them. The finished cross stitch is only about 3″ x 5″ but you could continue repeating to make it as big as you want. 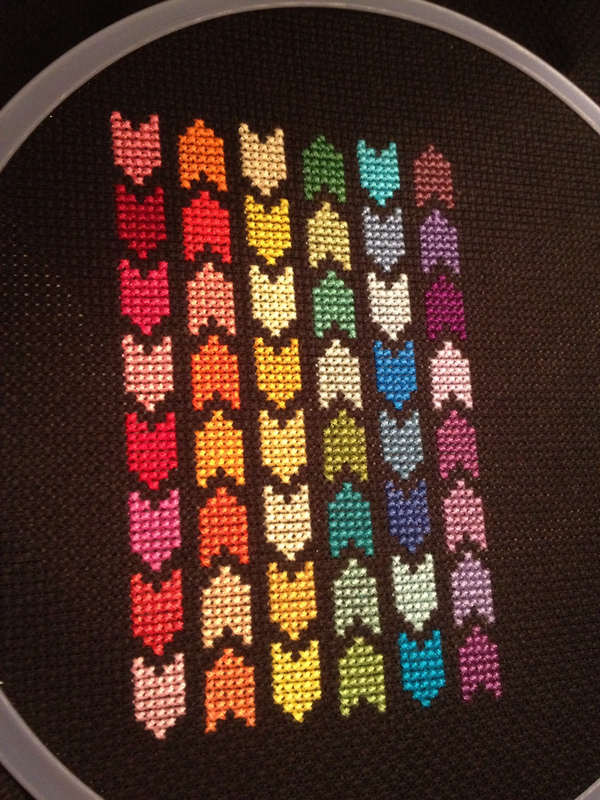 Whenever I do rainbow for my cross stitches I just grab any colors I have in that shade. Usually I’m lazy and pick whatever is already cut and split into three strands!